The Market Environment Analysing PESTEL for Monitoring the Business in Italy.PESTEL stand for political economic social technological Environmental and Legal factors. Italy is a Republic located in south-central of Europe, with 60.4 million inhabitants, it is the sixth most populous country in Europe. Italy today is divided into 20 regions, five of which have special status, with special concessions for an economic independence. The five regions are: Valle D’Aosta, Trentino Alto Adige, Friuli Venezia Giulia, Sicily, and Sardinia. The political landscape section point out how’s the political scenario is situated in Italy. In all countries, the government policy intervenes in the economy, although to a different extent, to change the allocation of resources determined by the market. Italian politics take place in a framework of parliamentary, democratic republic, and of a multi-party system; the Italian system is based on Roman law; this means that the Italian government is divided into the Chamber of Deputies, with 630 members and the Senate of the Republic with 315 members. Nowadays chairman of the board is Matteo Renzi, President of the Council of Ministers from 2014 which forms part of the Democratic Party. The government impose a personal tax rate can go up to 43%, Italy imposes low tariffs on agricultural products such as wheat, dairy, meats, textiles. 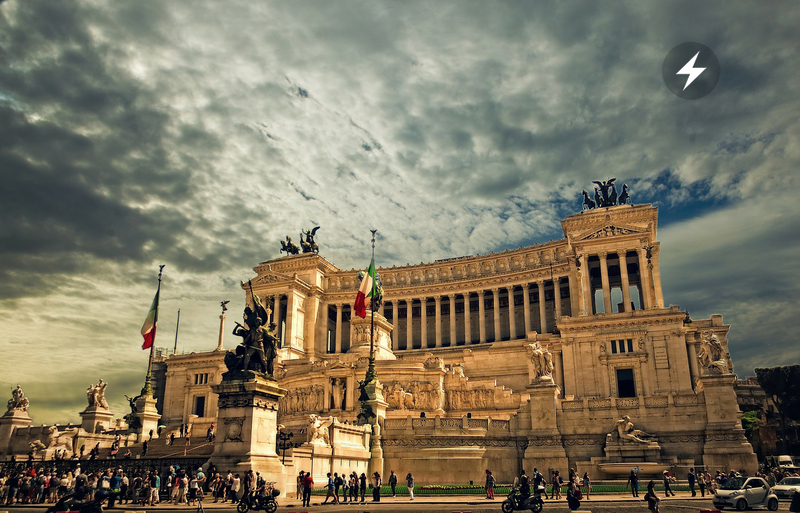 The Italian government, as well as the Italian economy is based on services and industry. The Italian industry has a diversified industrial economy, divided into two parts a developed industrial north, where the other part is controlled, dominated, and driven by companies are privet, and a less developed, subsidized, agriculture south, where unfortunately unemployment is quite high. INFLATION RATE; when we talk about inflation in Italy, often is referred to the inflation based on the index of consumer prices, abbreviated CPI. The Italian CPI reflects the price development of a standard package of goods and services that Italian households acquire to consume. Italy’s interest rate is currently 0.00%. Italy’s inflation rate is 1.10%. Italian society is based on a strong culture, the family is the center of the social structure, this also thanks to the religion is practiced, the Catholic. Italy’s population is 60 million, population growth 34%, mostly populated with people whose age ranges from 25-54 years old. Because of the crisis there is the problem of unemployment which nowadays dates to 12.6%. Technology plays an important role, and it has a powerful affect and impact on business. Especially in 2015 business tend to focuses on keeping up with technology and its rapid movement and evolution, to achieve the maximum efficiency, moreover to upgrade the services. Italy is trying to keep up with technology to provide services such as system development, wifi points for public use, are sparse around the country mostly available in cities, recently Italy teamed up with the U.S.A to create a new type of sensor, to increase the quality of public services that the government is providing. Destination where more than 140 countries are participating in Expo, Milano will be a global showcases that welcome over 20 million people. Besides the great economical refresh that Italy will have, Italy by hosting this event express the concern that the country have for the planet, and to promote green, eco environment. The factors are involved in legal matters such as equal opportunities, the safety of the product, healthy, and consumer’s right. Italy’s employment 40hr a week, over 40 hr over time with the double of the mandatory daily working hours, females employees are entitled to a mandatory paid maternity leave, Italy fights discrimination and harassment, direct and indirect against any race, gender, age, etc.